Located in the heart of Kendall Square, 145 Broadway is a 19-story, 250-foot mixed-use commercial office building. 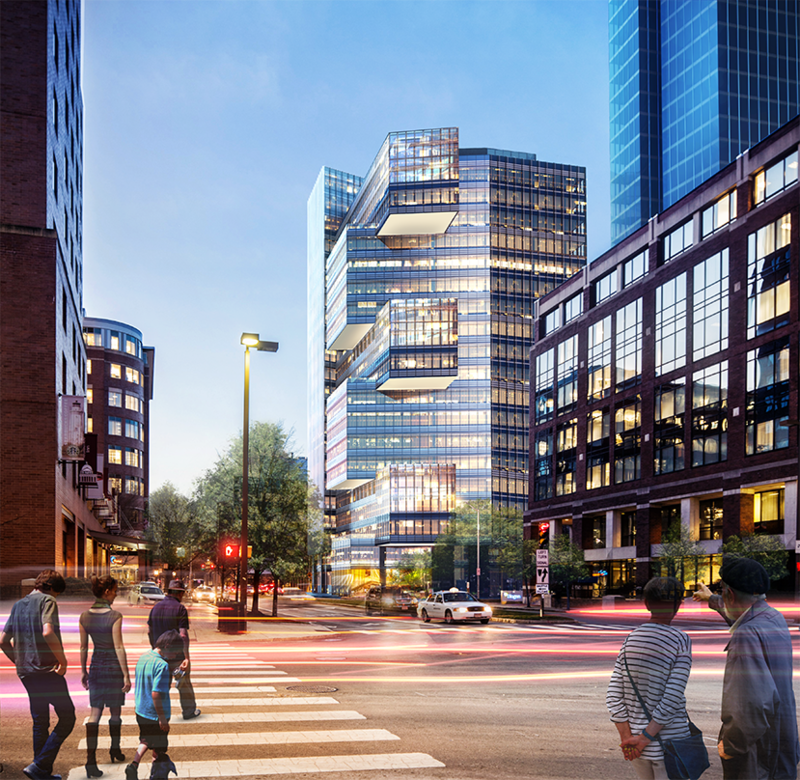 As a major infill urban development, it will serve as the new headquarters for internet giant Akamai Technologies, enabling Akamai to consolidate its local workforce while accommodating future hires. Typical floor plates of approximately 25,000 gsf feature two large open bars organized around a central core. Typical floor-to-floor heights of 12 feet 8 inches, with the use of Active Chilled Beam cooling, will ensure the building's long-term viability and sustainability. 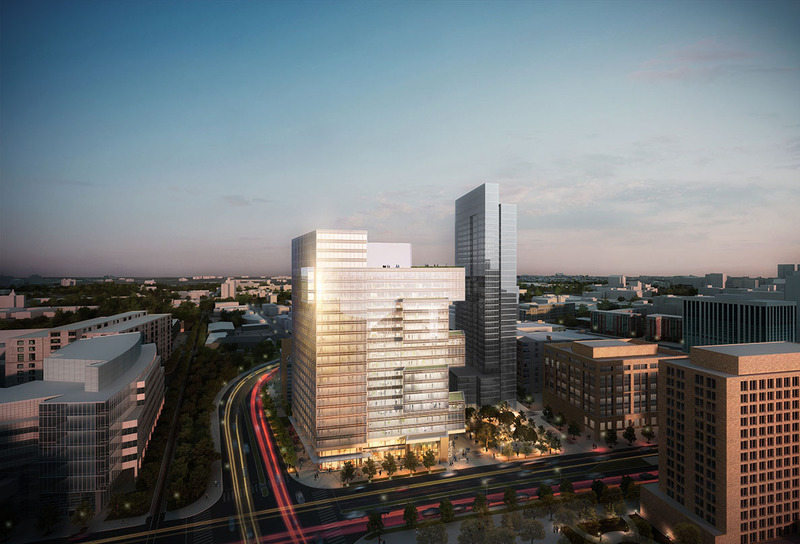 The tower will be clad in a high-performance curtain wall of painted aluminum and Low-E insulated glass panels. 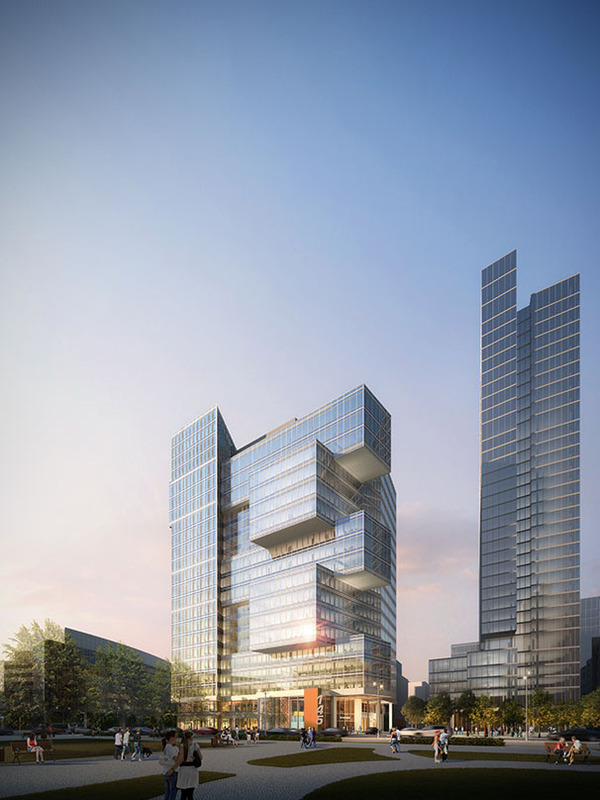 Vertical breaks define the tower’s massing and organize it into clearly expressed elements. Articulated bays and balconies minimize monolithic massing and humanize the scale of the building. 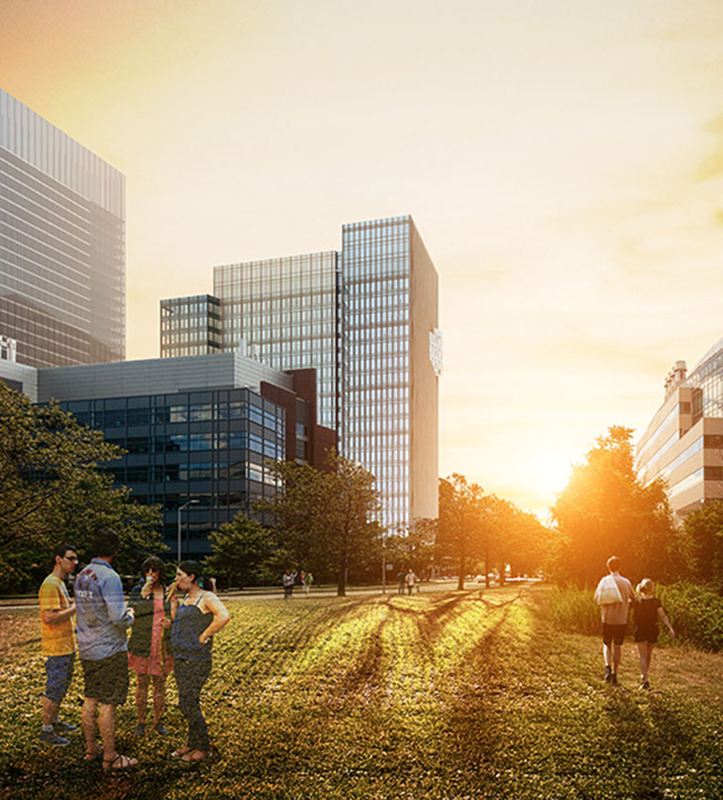 The ground floor plan is designed to activate the adjacent public realm, with a public plaza offering direct access to the lobby and active use spaces. Ground-level pedestrian circulation allows direct access and views to the existing open park space.